Slide to the left. Sliddddee to the right. You sprayed so much on that your parents complained that they couldn't breathe in the car on the way there. 2. This beautiful body glitter that every girl slathered themselves in. It's wasn't a proper school disco unless you were head to toe in glitter. 3. This fabulous lipbalm that every girl used way too much of. 4. These rad choker necklaces. Which are somehow popular again. 5. These quality T shirts from Tammy Girls “needlessly aggressive slogan” range that all the edgy girls wore. 6. 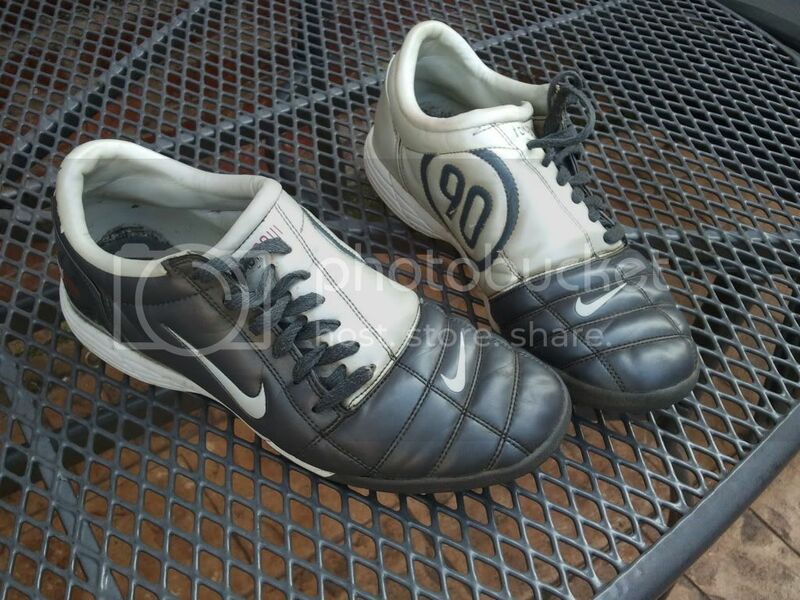 These classic school disco shoes that every girl wanted to wear. 7. And these ones that all the coolest boys wore. 8. This hair crimping in action. 9. This wet look gel that you needed to perfect your hairstyle. 10. This over gelled hairstyle that all the cool lads sported. 11. These butterfly clips which all the girls absolutely covered their hair in. 12. This hair mascara that made all your hair stick together. 13. This spinning light globe that turned your school hall into a party. 14. These things that one naughty kid would get kicked out for bringing. 15. These glow stick bracelets. 16. This important decoration that really set the mood during the slow dance. 17. And this single that everyone slow danced to. 18. These girls doing that Oops Upside Your Head "dance". Why was this a thing? 19. These kids doing The Cha-Cha Slide. 20. And this absolute floor filler. 21. These drinks that got you absolutely off your face. 23. And these sherbet straw things that you spent all your pocket money on.